Having the best internet access is one of the most important things everyone wants these days. Luckily, the introduction of WiFi routers has made everything exciting and straightforward. A wireless router allows you to connect multiple devices to your network without having to deal with irritating cables everywhere. However, buying a router for your home/office is not that easy – you have to learn what to consider in a router to make sure that you get the right one that meets your needs adequately. In this case, some of the factors you need to consider when choosing best wifi router include price range, WiFi standard, the speed of your internet connection, number of USB ports, single band or dual band (it is better to go for a dual-band router), and router placement. Without further delay, below are the 10 best WiFi routers in 2019 that you can get under $100. The good news is that you can find really good quality and high performance wireless routers in this price range that offers you the best value for money and good internet access for your home or business premises. Looking for the best router out there that will give you the best internet access at an affordable price? Then you have come to the right place. Because here is a quick overview and comparison table of the top 10 best wireless routers under $100 in 2019. Has an elegant and attractive design. Beamforming technology provides an exceptional range. NAS storage performance is sturdy. Great for 4k streaming and gaming. The throughput speeds on 2GHz band could have been better. Bridge mode configuration is insufficient. 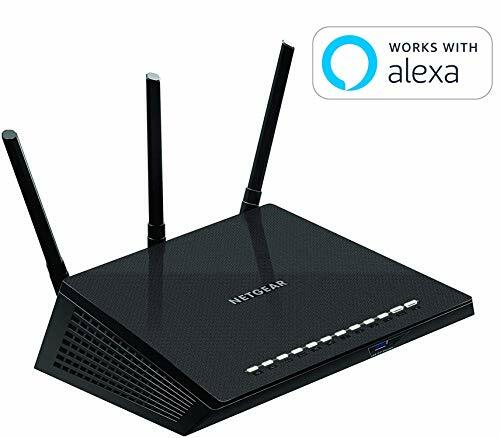 The NETGEAR R6700 Nighthawk AC1750 Dual Band Smart WiFi Router is an elegant dual-band 802.11ac WiFi router that offers you up to 1750Mbps wireless speeds on both bands. With a rate of 450Mbps on the 2.4GHz band and 1300Mbps on the 5GHz band, you can handle both non-intensive tasks such as internet browsing and more intensive tasks such as gaming and streaming effortlessly. This router utilizes beamforming technology which boosts and improves wireless range in every corner of the house, hence ensuring faster internet connections to mobile devices. 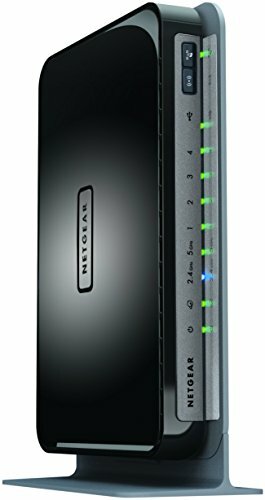 The NETGEAR R6700 comes loaded with a set of features including three detachable antennas, a USB 3.0 ports for faster HDD access, and a dual-core processor, which makes it a powerful networking kit for your home. Additionally, the router provides outstanding storage performance than most routers featured in the same range. Bottom line: The NETGEAR R6700 Nighthawk is a fantastic router for the price. It delivers superb connectivity for gaming and for homes with 12 or more WiFi devices. Right now this is the #1 best selling wifi router on Amazon. Has a sleek and compatible design. Incredibly easy to handle and carry around. Durable – it can handle a few drops. Very straightforward to set up and easy to understand. The operating connection range is short. The mixing mode operation between Wireless-G and 802.11b results in poor performance of 802.11b connectivity. The Linksys WRT54G Wireless-G Router is one of the best WiFi routers under $100 you are going to find in the market today. This router comes with everything you need for the best internet access all the time. Typically, there are so many satisfied customers due to the product’s reliability and simplicity of setting up WiFi hotspots at home or even in business premises. When it comes to performance, this gadget offers up to 54 Mbps maximum speed, which is incredibly amazing considering most wireless routers in the same price range do not perform that well. 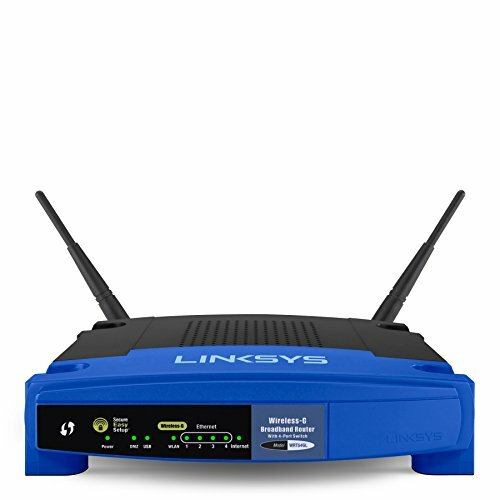 Bottom line: The Linksys WRT54G Wireless-G Router is a great option for those looking for an affordable and fast wireless connection to have wireless internet access in their homes. The package comes included with a simple-to-follow instruction, which makes it a great option even for a beginner. Incredibly easy to set-up and operate. Comes included with simple-to-follow instructions. Offers high-speed wireless internet connections. Durable and excellent quality design. The wireless connection range is remarkable. Linksys WRT54GL WiFi Wireless-G Broadband Router is another great small router for home and office applications on the market. It has a unique and sleek design – at the back panel, there are four Ethernet LAN ports and one broadband connection jack. The two antennas are fully adjustable which makes the router portable and easy to carry around. 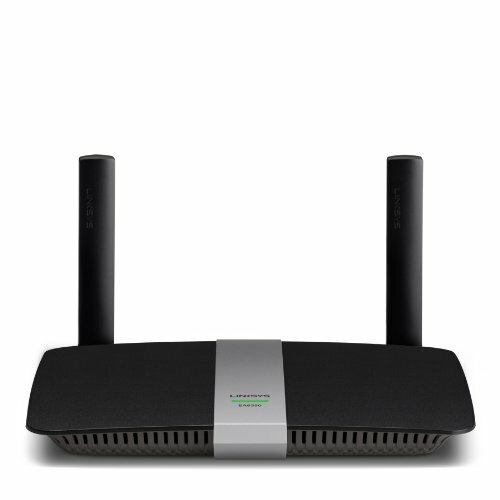 The amazing part is that this router does not have a wireless bridge mode which enables you to connect various networks wirelessly without even using the Ethernet connection. Additionally, it shares a single wireless connection when all the four Ethernet are wired. You will find everything has been made easy and manageable – from setting up the router to customizing its settings. All you have to do is to plug in the router into a power source, connect it your internet modem and computer. After that, you simply have to run the Setup Wizard on CD-ROM and follow the instructions. The parental control allows you to govern web usage in your office or home. The combination of the SPI firewall and WPA2 encryption provides improved wireless security for the connected devices. 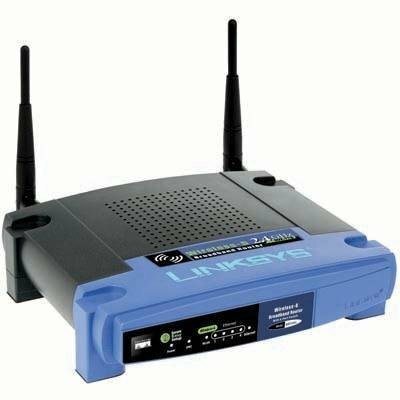 Bottom line: Linksys WRT54GL WiFi Wireless-G Broadband Router is a versatile wireless router that also functions as access point and switch. This is a router that is great for home and office setups. Provides excellent close-range wireless performance. Nothing is more important than having a reliable router that offers continuous and fast internet access over multiple devices. With the TP-Link N450 WiFi Router, you get relatively good throughput, single-band internet connection, a set of control settings, including remote management and access control. In addition, this gadget minimizes data loss over long distances, thanks to its powerful N technology. The WPA2 encryption allows you to have a secure network, hence hindering any intruder from accessing your internet. This router also has a WPS button which lets you have a WiFi connection setup promptly. 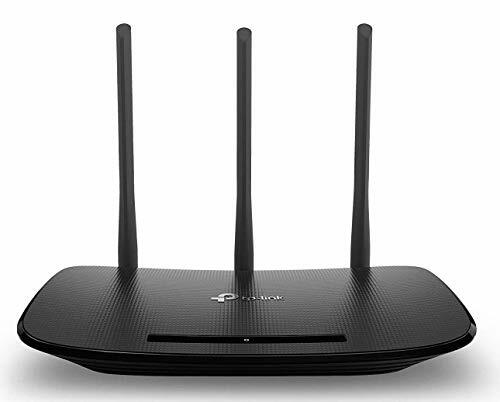 The three antennas equipped on the router ensures you have a strong and quality signal at all times. Bottom line: The TP-Link N450 WiFi Router also comes with a two-year warranty which proves that you’re purchasing a quality product. So, if you’re looking for a small, affordable yet reliable home or office router, then the TL-WR940N is the best place to start. Genie App allows you to monitor, control, and repair your home network. The USB support is limited to storage devices only. 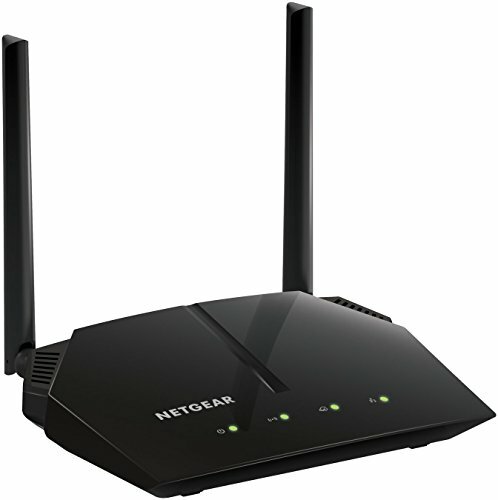 The NETGEAR N750 Wireless Router is everything you would want in your home for fast internet access. Any place you require speed, this router got you covered at all times. It offers up to 750 Mbps maximum download speed. Also, this router comes loaded with a dual-band technology which ensures your home is covered with Gigabit wired connections. What more would you want in such an affordable WiFi router? Regarding security, the Netgear WNDR4300 device comes designed with password protected and encrypted WiFi networks for both 2.4GHz and 5GHz bands. Bottom line: There are plenty of features which makes the NETGEAR N750 Dual Band 4 Port WiFi Gigabit Router the best value including excellent WiFi performance, reliability, ease of use, advanced security features and many more. Very easy to use and configure the settings. The USB port is only 2.0. TP-Link AC1750 Smart WiFi Router is a reasonably priced 802.11ac network router. 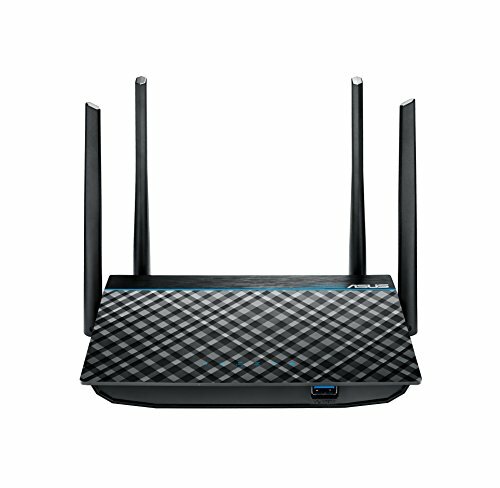 The TP-Link Archer AC1750 offers a lot of router for the value with high-end performance and its capability enabling you to interconnect your laptop, smart TV, computer, and other devices, and also utilizing the USB port to share all sorts of files and printers with networked devices. Additionally, the IPv6 supports give you a reasonable degree of future-proofing can allow a guest WiFi network. This router also features dual support for both 2.4 GHz and 5 GHz bands – which ensures reduced buffering and perfect for 4k streaming. In addition to its remarkable performance, this internet device provides plenty of amazing features including 4 Gigabit LAN ports and its menu navigation system is extremely user-friendly, even for beginners. Bottom line: If you have got a limited budget and looking for a WiFi router to solely upgrade or expand your wireless network, then the TP-Link AC1750 Smart WiFi Router is the best buy for you. Great router for both home and office uses. Linkys App makes it very easy to manage your network at any place. The power is a bit short. The Linksys EA6350 Wireless Dual-Band+ Router is one of the best WiFi routers under $100 for home use. It offers remarkable speed and powerful range coverage which is more than what you need to your typical apartment, and the wireless security encryption it provides won’t disappoint you. This router features dual wireless bands which offer up to N300Mbps and AC867Mbps speed, which means it can handle data traffic with minimal buffering. As a result, you can enjoy 4k media streaming and gaming without experiencing any interruptions. The USB 3.0 port allows you to transfer large media files across your network quickly. Bottom line: The Linksys EA6350 Wireless Dual-Band+ Router features built-in WiFi software that lets you monitor your network remotely at any time easily. You can easily access your WiFi network from any device like a smartphone – that way you can see how many devices are connected to your network and even block a device with ease. Sharing media files such as photos, videos, and music is much faster. Comes included with a two-year limited warranty. Good router for the price. Cannot be mounted on the wall or laid flat to save space. Cannot match with the fastest WiFi routers over short ranges. The TP-Link AC1900 Smart Wireless Router is a speedy and high-performing WiFi device that every home should have. With a throughput rate of up to 1300Mbps, you can stream videos in 4k and game online without any interruptions. The beamforming technology featured in this router allows you to use your smartphone or laptop more conveniently, by ensuring more reliable and stronger WiFi connection in every corner of the house. The TP-Link Archer C9 provides a robust set of features which includes IPv6 support, parental control and guest network that makes it an exceptional product at the most affordable price. 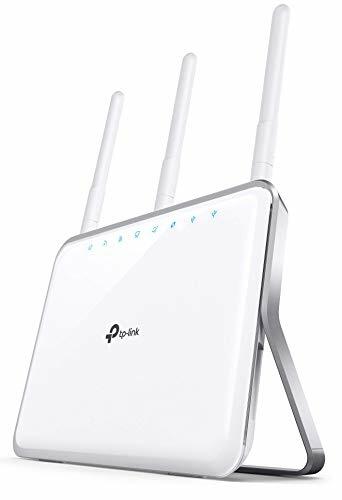 Bottom line: If you want an inexpensive dual-band wireless router that offers fast internet access to your home, then you should consider the TP-Link AC1900 Smart Wireless Router. The user interface is intuitive and straightforward to use. Dual-bands capability ensures high-speed performance. It takes times to reboot. The ASUS AC1300 Super-Fast Wifi Router is a wondrous router for those looking for home networking kit with a superior WiFi coverage and high connection speeds. There are so many reasons to buy this device, including ASUS router app which allows you to monitor and manage your network right from the palm of your hand. The router has a web-based interface which makes it fairly easy to set up, even for beginners. The integrated four antennas ensure stable and consistent network coverage of your entire household. The integrated USB 3.0 port makes it pretty easy to share files to the connected devices on your network. You can also access and share printers with ease. And don’t forget the 128 memory available that allows you to download files from different devices without losing the overall performance. 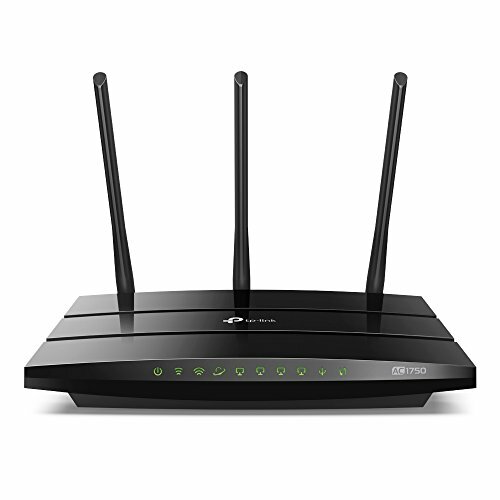 Bottom line: The ASUS Dual-Band AC1300 Super-Fast Wifi Router is a superb router for anyone looking for home networking router with a superior WiFi coverage and high connection speeds. Ideal for medium to large homes. Netgear Genie App allows you to easily manage your home network. Supports guest network, allowing you to limit who can access your network. Advanced security encryption for added security. Only has a USB 2.0 port. The NETGEAR AC1000 Dual Band Smart WiFi Router comes loaded with a set of amazing features that aims to provide you with the best internet connections without any interruptions. The dual-band capability delivers up to 1000Mbps speed, allowing you to perform intensive activities such as gaming, HD streaming, and downloading large files. The router is perfect for both office and home applications, thanks to its adjustable external antennas that can be directed to any angle you want to distribute the WiFi signals more efficiently. The Netgear Genie App allows you to set up your router with ease, control and manages the internet access by blocking unwanted access to the network. Other essential features include parental control and restriction, firewall and advanced security encryption. Bottom line: The NETGEAR AC1000 Dual Band Smart WiFi Router is a great cheap WiFi router which guarantees high-quality and reliable performance each time you put it to use. We have come to an end of our review of the top 10 best WiFi routers that cost less than 100 dollars. Some people think that cheaper wireless devices mean lower quality, but that it is not entirely true. The fact is that it depends on your budget and the reason you need a router in the first place. In this list, we have reviewed the best routers that will provide you the best internet access at an affordable price. If you love gaming and want a quality router, then something like the NETGEAR R6700 Nighthawk is your best bet. If you are looking for a cheap yet functional router, then you cannot go wrong with TP-Link Archer AC1750 Smart WiFi Router. Last updated on January 14, 2019 .